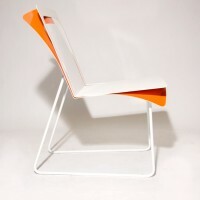 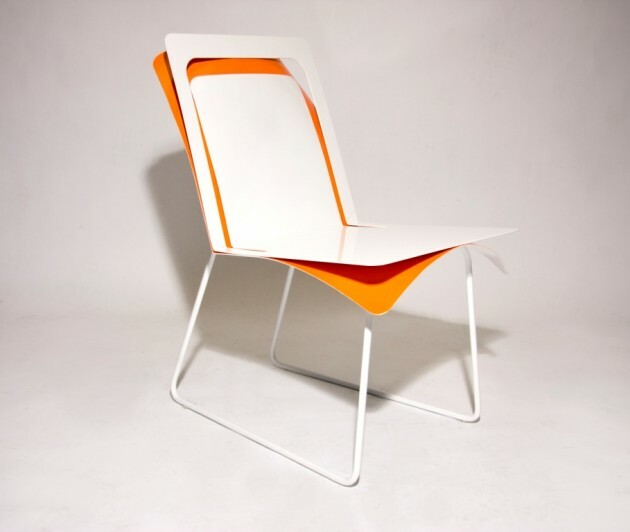 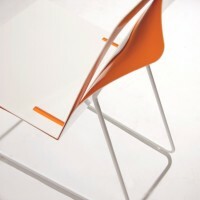 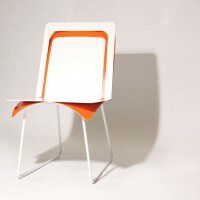 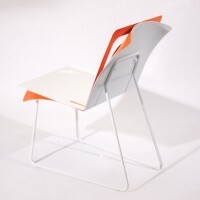 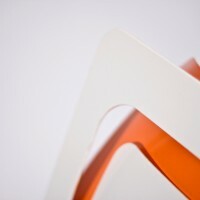 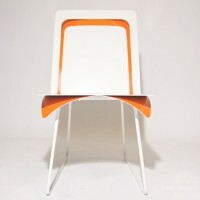 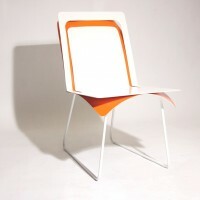 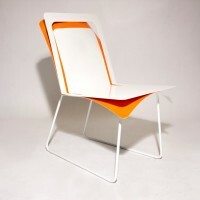 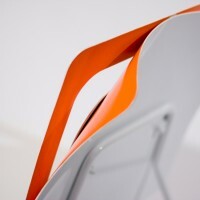 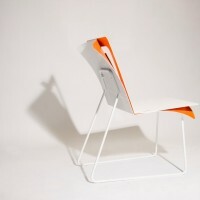 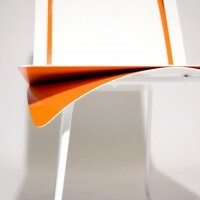 Nancy Chu, an industrial design student at the University of Cincinnati, has created the Zest Chair. 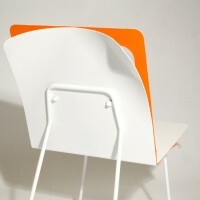 Zest explores the contrast between hard folds and soft curves. 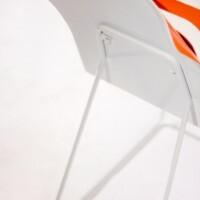 The clean lines of one surface give an impression of rigidity, whereas the delaminating surface seems lax as it bends over the sleigh legs. 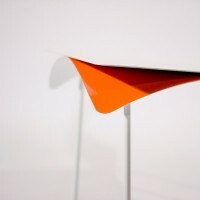 As one surface “peels away” from each other an intrigueing negative space pulls the eye in with an unexpected pop of color. 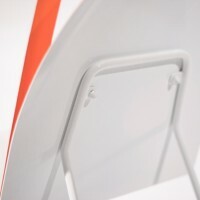 Powder coated sheet metal and bent steel rods.